HPPSC Released Notification for Subordinate Allied Service, Candidate can apply now. 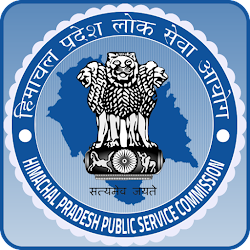 Himachal Pradesh Public Service Commission (HPPSC) has released notification officially for Himachal Pradesh Subordinate Allied Services/ Posts Examination-2017. HPPSC recruit Excise & Taxation Inspectors, Inspector Grade-I (FCS & CA), Inspector (Audit) ,Extension Officer (Industries) through Allied Service Examination 2017. Initially, an objective type Preliminary Examination of three hours‟ duration, will be conducted consisting of one paper of 200 Questions one mark each of multiple choice answers for short listing the candidates for the Main examination. And their will be a 1/4th negative marking for each wrong answer. The marks obtained by the candidates in the Preliminary Examination will not be counted for determining their final order of merit. The number of candidates to be called for (Main) written examination will be 20 times of the total number of posts advertised. The candidates having been declared qualified in the Preliminary Examination will be entitled for admission to the (Main) written examination consisting of three papers. The candidate shall have to pass all the three subjects.